We are already in the season when journalists will more likely ask people leaving political offices, especially governors about their stewardships. It is also a time when outgoing chief executives, will like to talk about their legacies or what they are more likely to be remembered for, even when they are not asked. It is the time media houses smile to the banks as political players struggle to outdo each other in trying to showcase what they term their achievements in the media. It is yet another era of truths backed with facts, half-truths hidden behind manipulated figures and pictures and lies subsumed in propaganda. It is indeed an interesting period as we witness change of batons to mark the end of one democratic dispensation and the beginning of another. My mind naturally went to Borno, my home state, where unless one visits, the likely conclusion is that there may be nothing to show given years of uncertainties, trauma and anxiety occasioned by the Boko Haram insurgency. Some people think that, Borno is hell of a sort, where life has become so meaningless and the Governor, Kashim Shettima who has held sway since May 29th, 2011, as Governor and chief executive may not have anything to show on his score sheet, like others when he rounds up to start a new era in the Senate. Many people did not tend to give Governor Kashim Shettima the chance to survive the situation, even as the Governor. The types of stories we hear, the write ups we read and the often gruesome pictures painted of the situation in Borno may have informed the skepticism to the effect that nothing good could come from that enclave. The situation is further aggravated by the tales some of us who fled Borno in the wake of the crisis also tell, and the impressions given about the state to outsiders. It is very sad, that those who discuss the story of Borno are more often those who may have never visited the state, or those who stayed away from the state for a very long period, and have lost touch with the realities on ground. Even as an initial insider, I was transfixed at various spots when I attempted to take inventory of the structural developments undertaken by Kashim Shettima, around Maiduguri the state capital alone. It may be uncharitable to say others before him did not do much, but it is also incumbent to say nobody has done as much as this young man did. It was not surprising to me that some people did not want him to come back for the second term, knowing his capacity and his tendency to break records. With what I found out in my private visits and checking the records, Kashim Shettima will be leaving behind an oversized shoe. Pleasantly, the incoming Governor, Professor Babagana Umara Zullum is himself a development oriented leader, having served as the anchor of Governor Kashim Shettima’s #Rebuilding Borno Agenda. As Commissioner in charge of the strategic ministry of Rehabilitation, Reconstruction and Resettlement. It is safe to say therefore that there are hopes for the continuation of Shettima’s strides. With the privilege of having worked with three other Governors before him, I must confess, that Kashim Shettima is exceptional in terms of ideas for development. I was privileged to be amongst those who developed the initial blue print for the development of Borno State, which was anchored on the dreams of Governor Kashim Shettima. 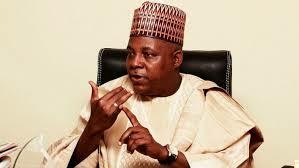 With the hindsight of having understudied the vast potentials of Borno State, Kashim Shettima came into Government with the firm conviction that the widespread poverty across state and the attendant social ills arising from lack of education, unemployment, lack of infrastructures amongst others cannot be justified. It is on record that Kashim Shettima brought the best hands on board to serve as members of his cabinet. He has an avalanche of technocrats as advisers, and gathered some of the finest brains to midwife his development strategy. 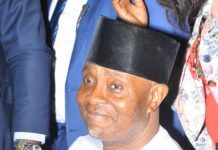 I recall that he convened a retreat where the likes of Audu Ogbe, the current Minister of Agriculture, Dr. Obadaiah Mailafiya, former Deputy Governor of the Central Bank, and Development Strategist, Engineer Ibrahim Ali, one of the finest brains in industrial development, Ibrahim Magu, the incorruptible anti-corruption czar, and Ishaq Modibbo Kawu, a media strategist, amongst others worked together with Shettima’s team finding a pathway to Borno’s development. Those of us who had the privilege to work closely with other Governors before joining Kashim Shettima can attest to the fact that his passion for the development of Borno is unequalled. He is so emotionally attached to his policies and so easily moved by the plight of the people in the face of the challenges posed by the Boko Haram insurgency, and could very easily breakdown. And having inherited a state that has come to be known as the theatre of an atrocious war, Shettima was at his wits end to see to the end of the crisis so he can implement his well thought out plans. At the inception of the government during the first stanza, Kashim Shettima led a delegation of experts and Government officials to understudy agricultural, health, industrial and educational structures of fast developing countries, with a view to importing the technologies behind their successes. And they visited the United State, China, India, Germany, Israel, Turkey and the United Kingdom, amongst others. The success story behind what he has to show today, as his achievements could be found in these numerous study visits he undertook, and the attendant transplanting of parts of the technologies they saw to Borno. Having been away for long, being one of those who fled Borno in the face of the Boko Haram onslaught, I had initially closed my mind and my eyes on anything good coming out of the Government. After I reconciled with the Governor and my subsequent visits to Maiduguri to face trial, I have recently been so impressed with the developments I see in the state capital. I could not miss seeing some of the edifices from the small window on the black Maria, when I was being driven through the city for my trips to my trial. When I eventually got a bail, I missed my way trying to navigate the city I thought I knew so well. So many structures have sprung up, so many roads newly developed. Old structures are either wearing modified looks with expansions, while newer ones have assumed the character of modern cities. Somebody joked about Maiduguri having been transformed into Dubai of a sort, and I agreed, given what I knew and what I now see. Of particular note is the seeming revolution in the education sector. With his declaration of state of emergency in the education sector, what has become of so many public schools in Borno today, in terms of structures, is a sight to behold. Public schools have outshined the private ones, and with the additional incentives to pupils and students, the public schools alone are enough evidences that Borno is working. In the localities, after spending three months without visiting home, I could not believe that the only secondary school in Marama has been completely fenced, Pakilama Primary school, renovated and fenced and our hospital got a face lift. The projects in the education sector were too numerous for me to personally visit, though I had the privilege to visit some. Facts on ground however indicate that there are 1711 classrooms constructed, which I understand is spread across 156 Primary schools across the state. 44 ultra-modern mega primary schools have been newly constructed, in addition to 27 Senior Secondary Schools overhauled or expanded, with 16 others newly established. And to establish whether there is synergy in the educational policy to cover all the levels, I had the privilege of personally visiting the Ramat Polytechnic, Kashim Ibrahim College of Education and the Mohammed Goni College of Legal and Islamic Studies, all in Maiduguri. I interacted with staff and students, and they all agree that the transformations going on in each of the schools have never been experienced. My curiosity was aroused with the recent visit of some of my colleagues to Maiduguri for personal assessments. Many others may not believe it, that, Borno today has what somebody described as an industrial hub. Here, we have industries like, PVC pipes industry, Animal Feed Mill, and many manufacturing outfits that can compete favorably with the ones found in their originating countries. Without a personal excursion to Borno, many people may not believe that some of the things I am talking about really exist. Before you dismiss this as part of the end of term rituals embarked upon by Governors, one needs to take time out and visit Borno, and one wil be proud that out of the debris of the Boko Haram madness, Kashim Shettima indeed has a robust balance sheet, in terms of infrastructural development. So many people may be surprised at my verdict, given my hitherto critical stance against the Governor. My explanation is this, that, criticism does not only imply finding faults, it includes positive assessments based on facts. My profession behooves upon me to speak out once I notice anything contrary to perceptions. As he rounds up, I dare say that Governor Kashim Shettima will be leaving Borno with his head high. Previous articleKwara: Court Affirms Bio As Winner Of House Of Representatives Poll In Kaiama/Baruten Constituency.